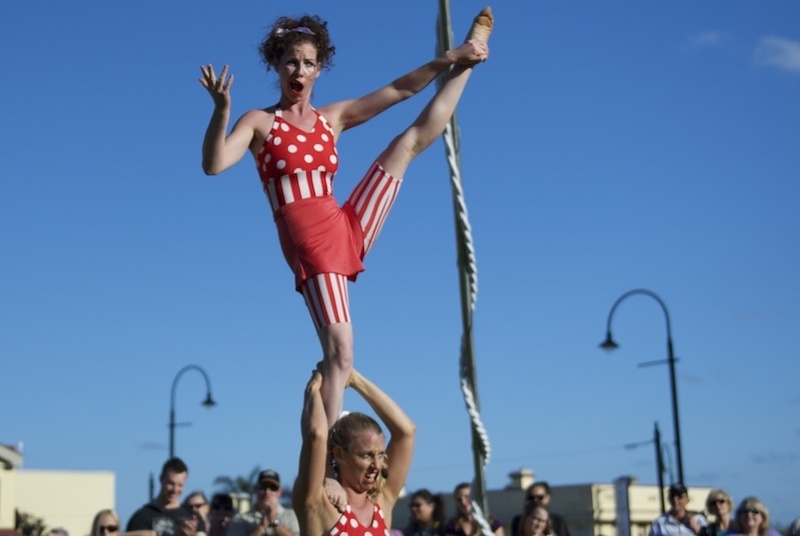 Home / Specialty Entertainment / Roving Performers / Aerial / CANDY GIRLS – COMEDY, MUSIC AND DEATH-DEFYING SKILLS! CANDY GIRLS – COMEDY, MUSIC AND DEATH-DEFYING SKILLS! Perfect for festivals and outdoor corporate or community events - this gorgeous and dynamic trio will put a smile on the dial of adults and children alike! 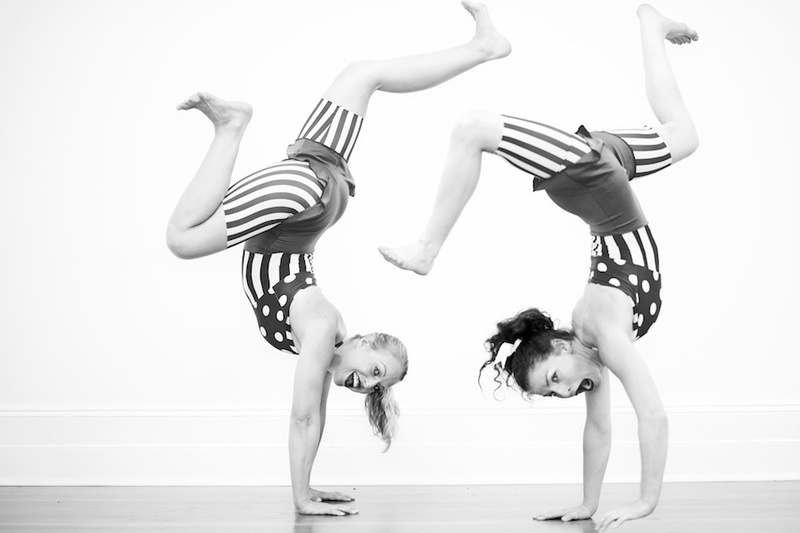 Three of Western Australia’s top female circus artists have joined forces to present a super sugar rush of a show. Combining spectacular circus stunts with laugh-out-loud slapstick comedy, it’s fun for the whole family. 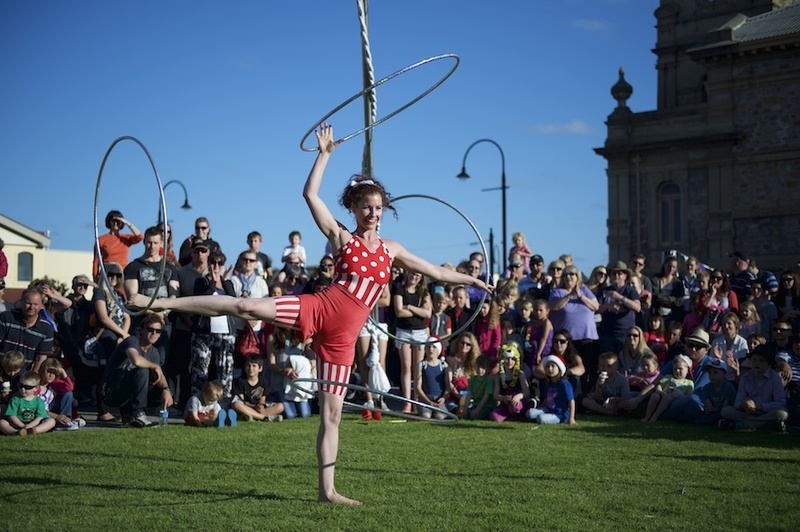 The shows include skills in acrobatics, dance, juggling, hula-hoops, diabolo, lasso, slapstick … And a whole lot of fun! THE CANDY GIRLS WILL SATISFY YOUR SWEET TOOTH! “The skills displayed are stunning, with routines carefully prepared and choreographed to fit perfectly with the musical soundtrack. 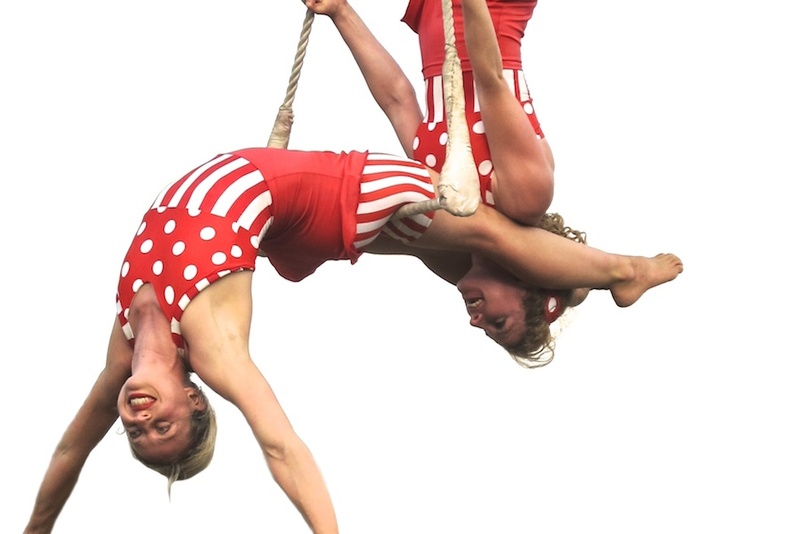 Candy Girls is a show that is as sweet as its name, with serious circus craft and ability that is not merely “good enough for the kids” but is thrilling entertainment for adults lucky enough to attend."